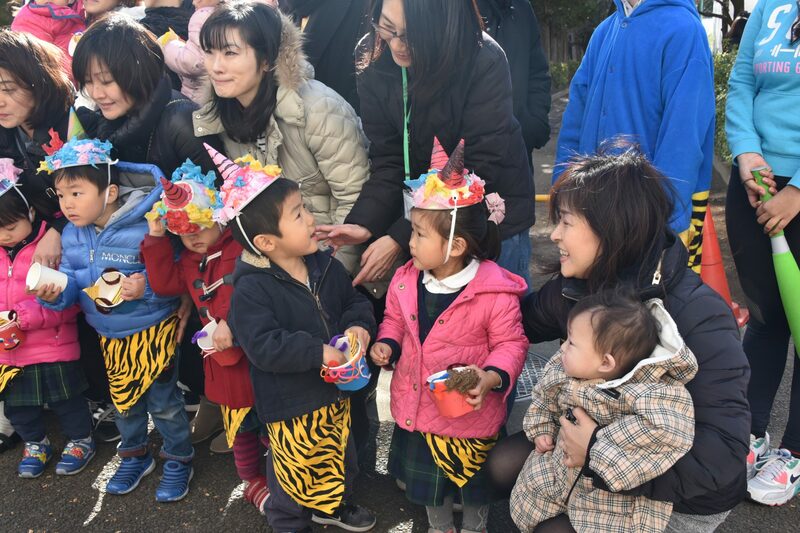 Mamemaki is a Japanese custom usually performed as a family to invite in good luck and drive away evil spirits for the year. 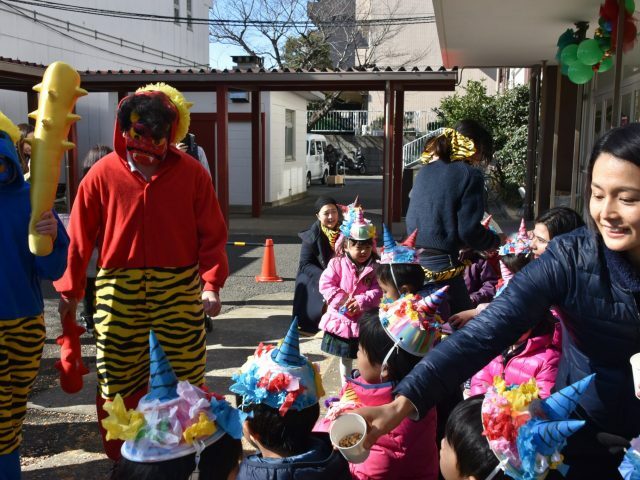 ‘Good luck’ beans are thrown at ‘evil spirits’ – people wearing Oni (demon or ogre) masks. 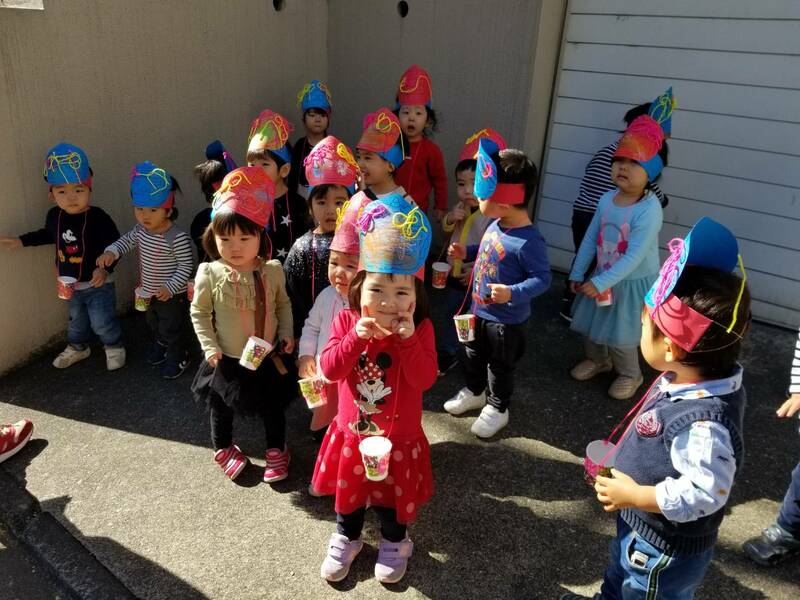 Kindergarten students enjoyed Mamemaki. 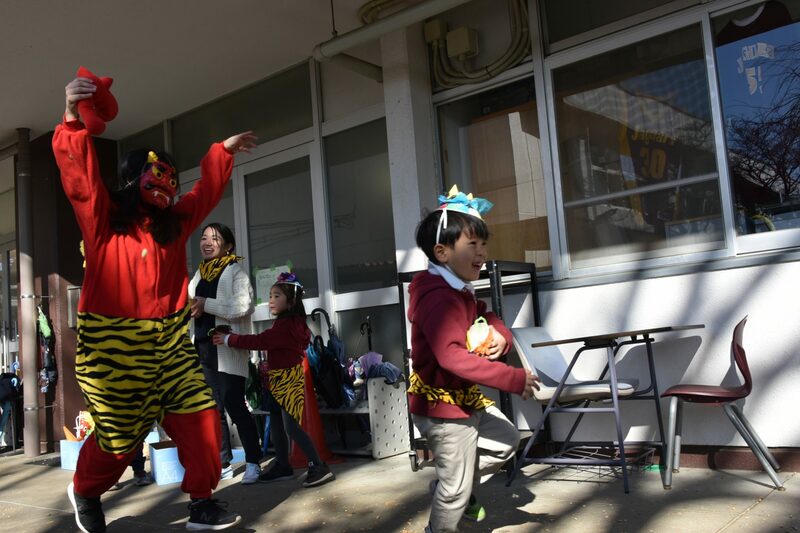 At Meguro campus, they sang the ” Oni wa soto” song and then threw the beans. Everyone did a good job singing and throwing. 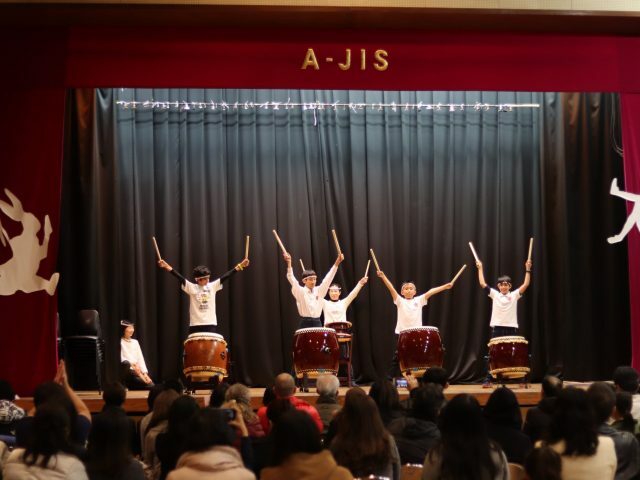 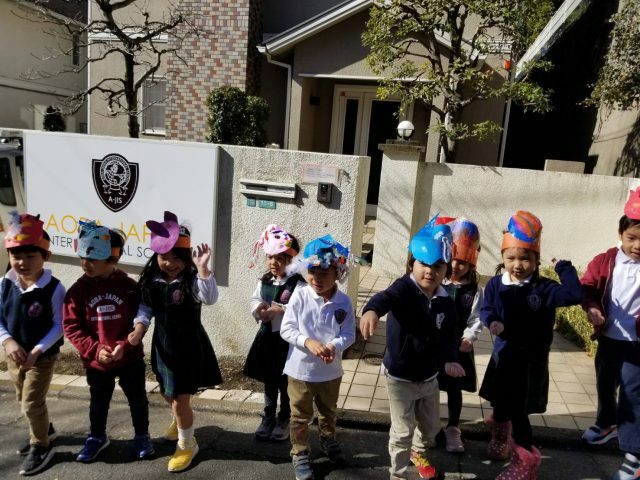 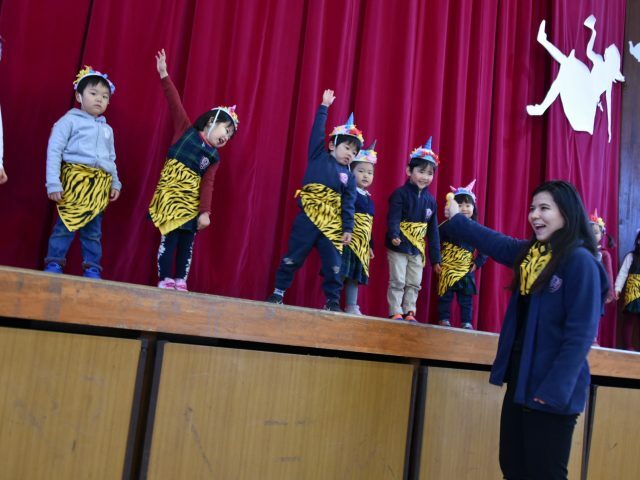 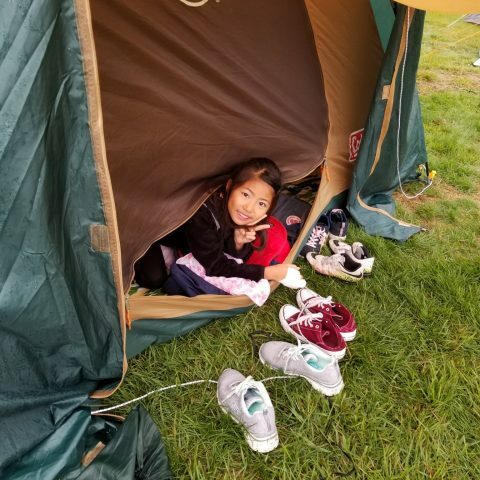 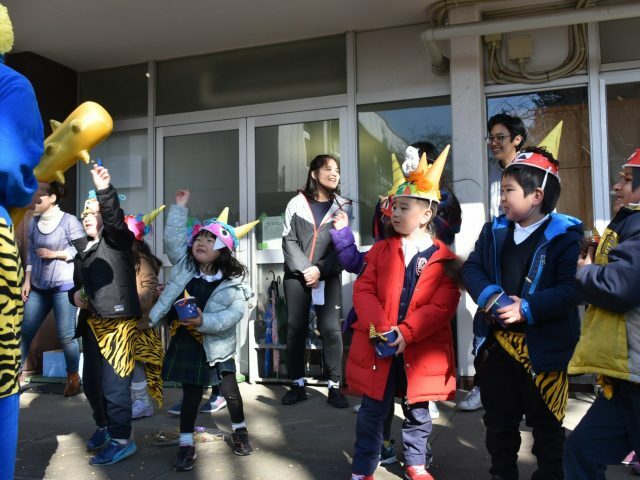 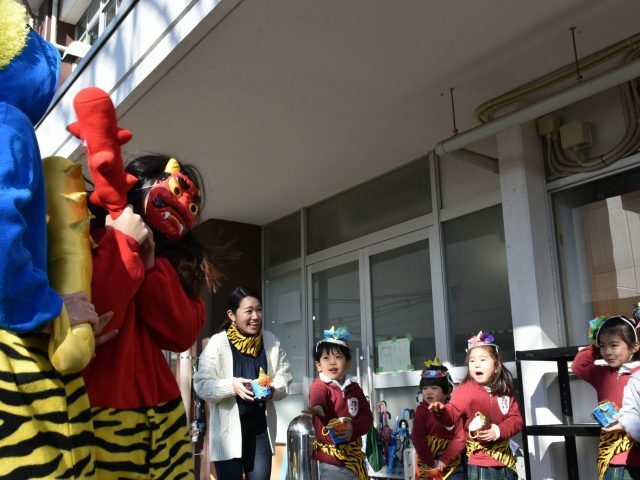 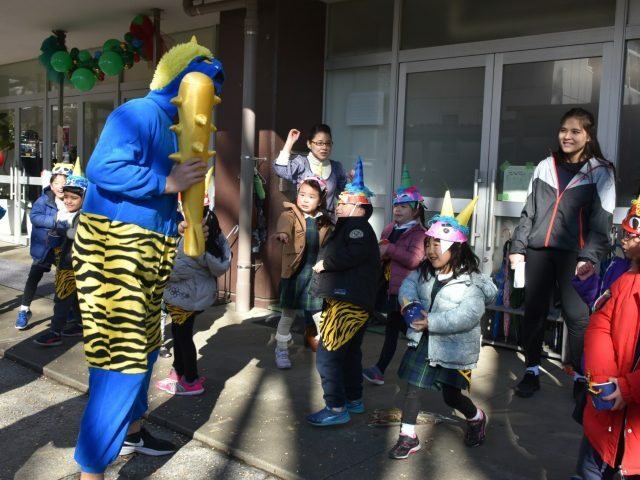 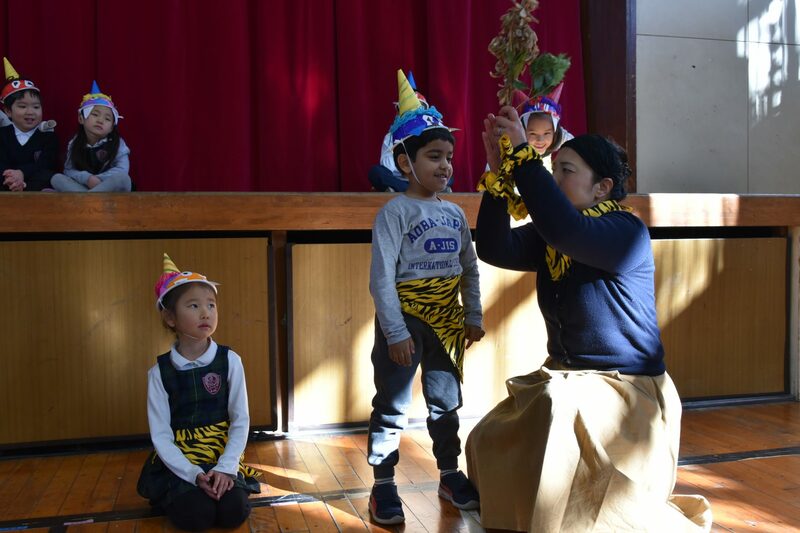 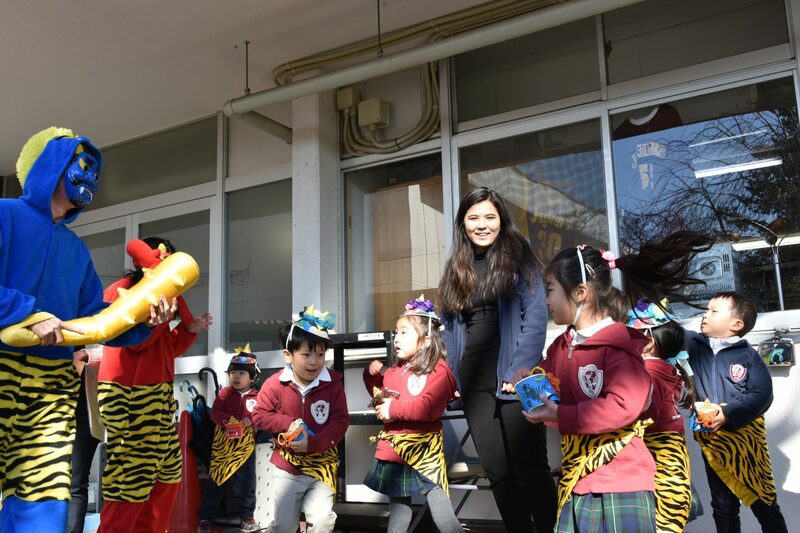 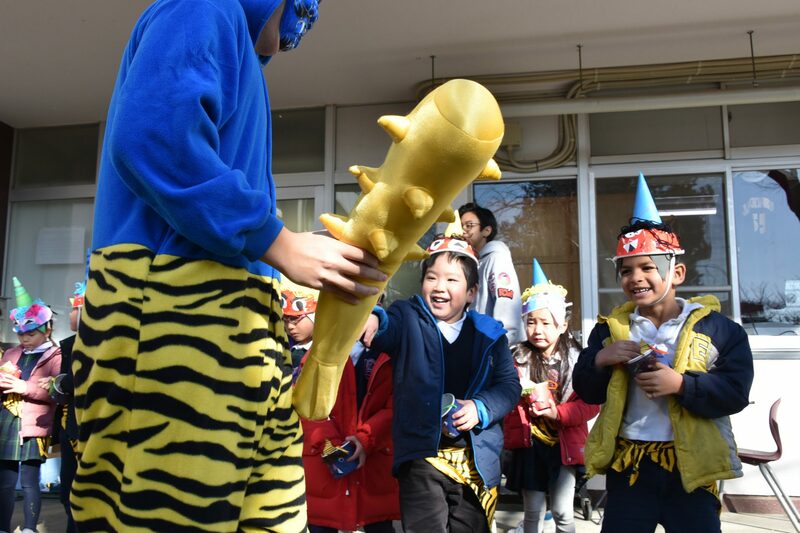 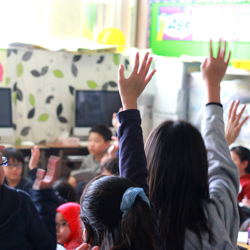 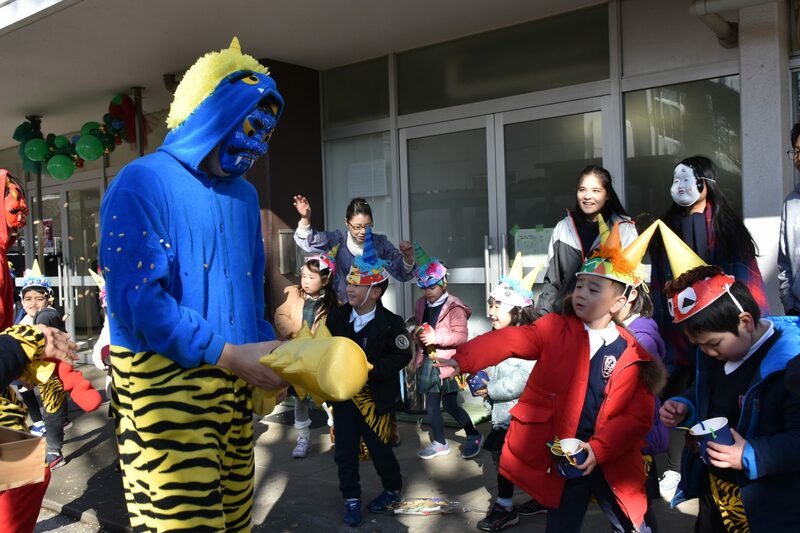 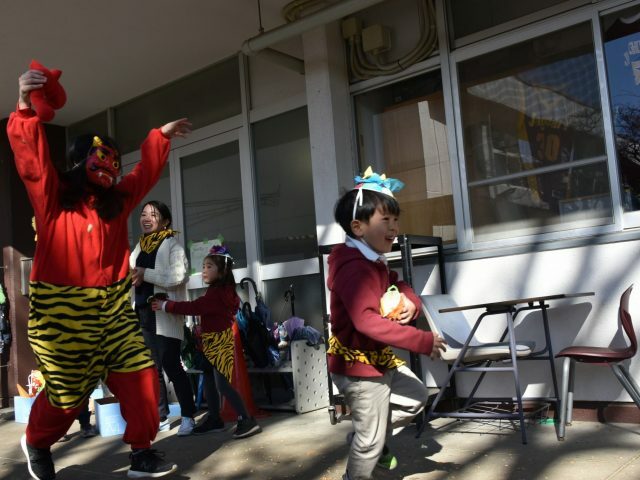 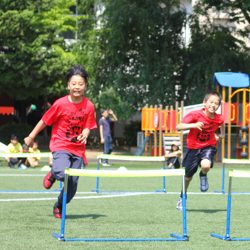 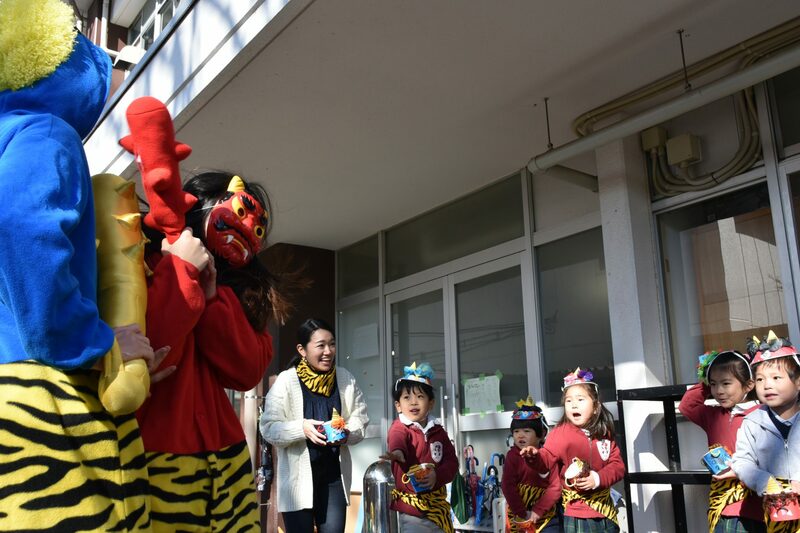 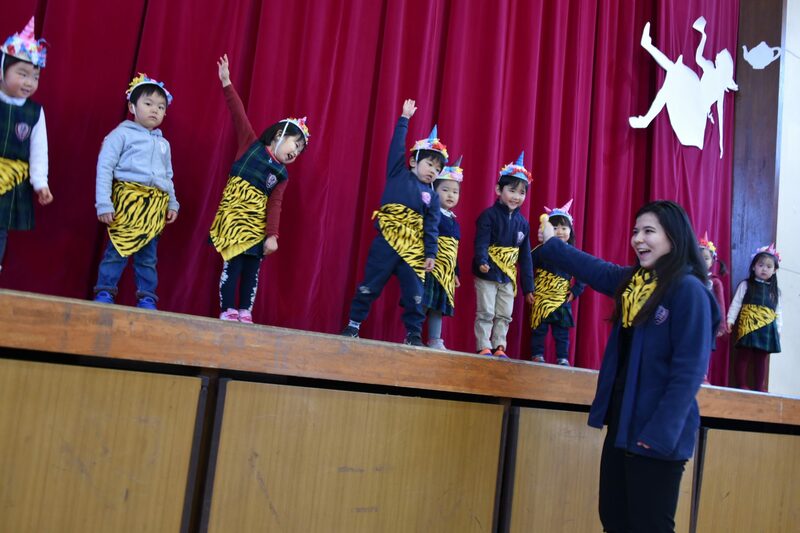 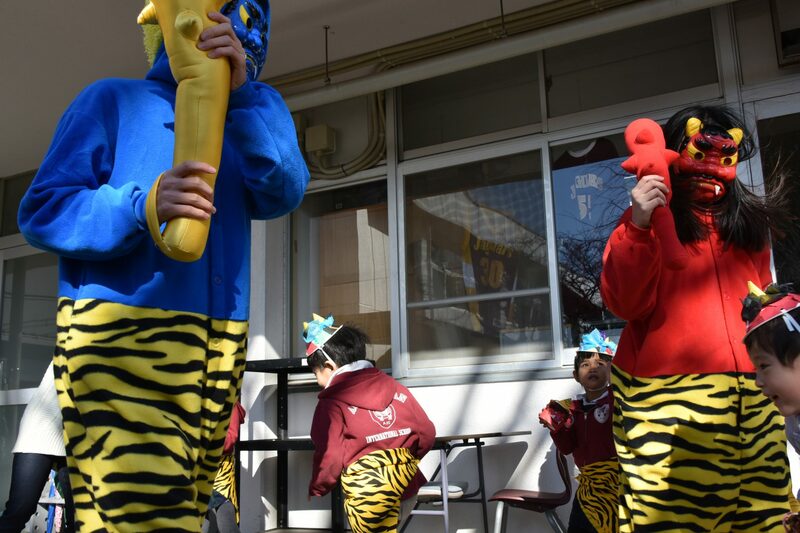 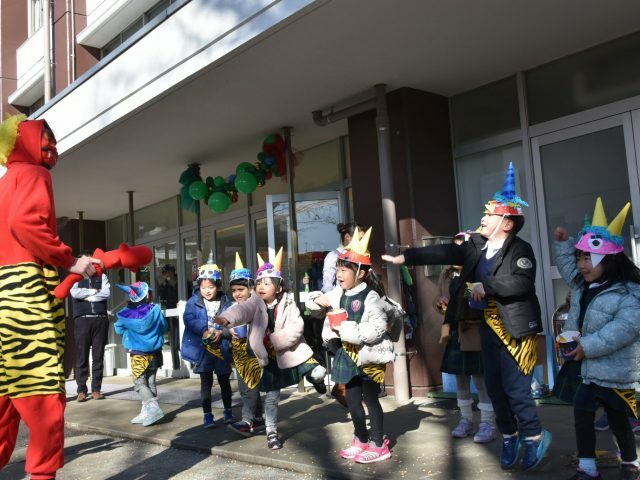 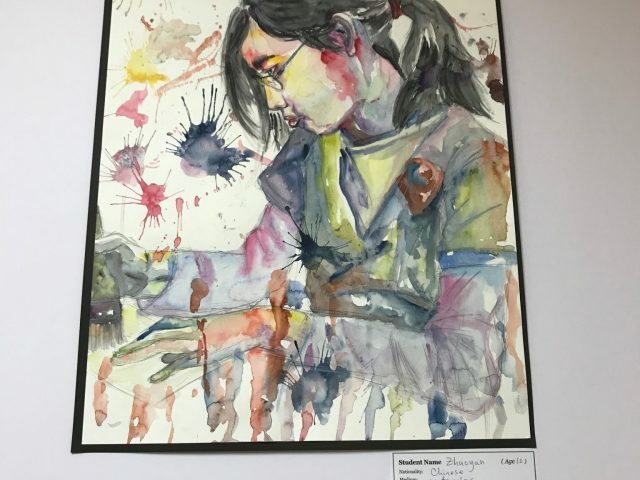 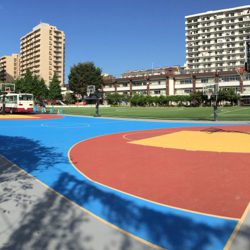 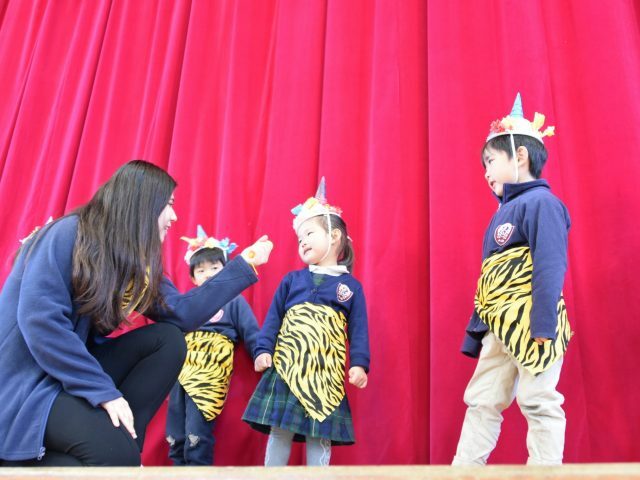 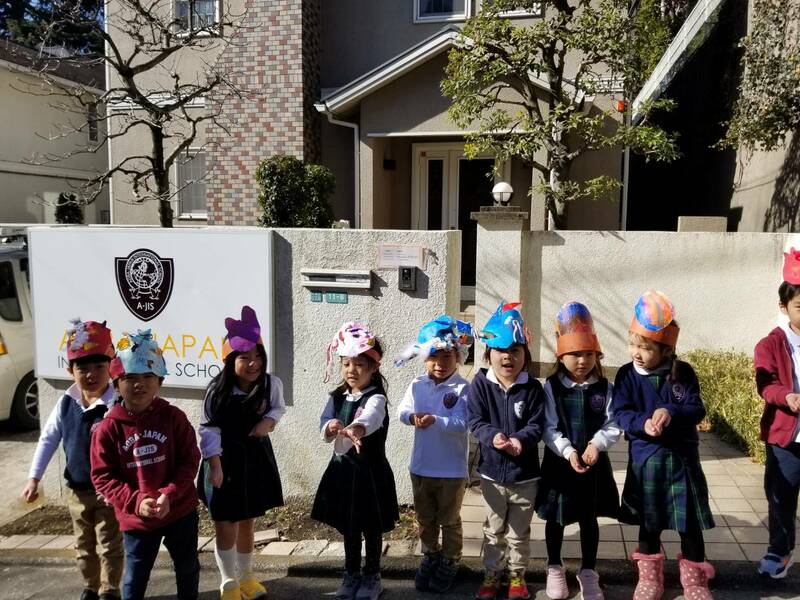 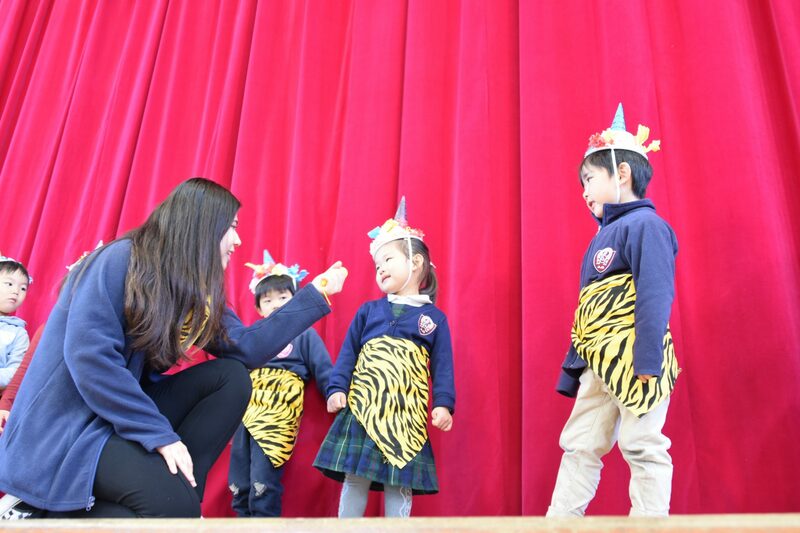 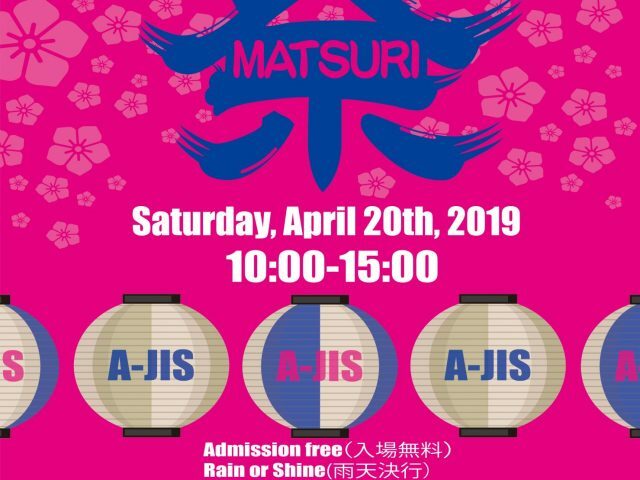 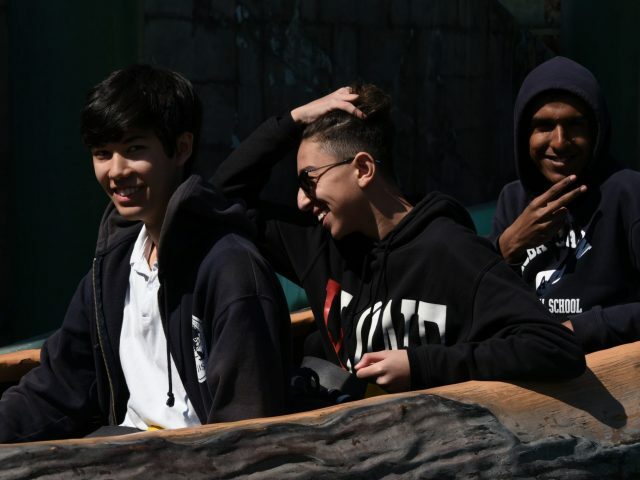 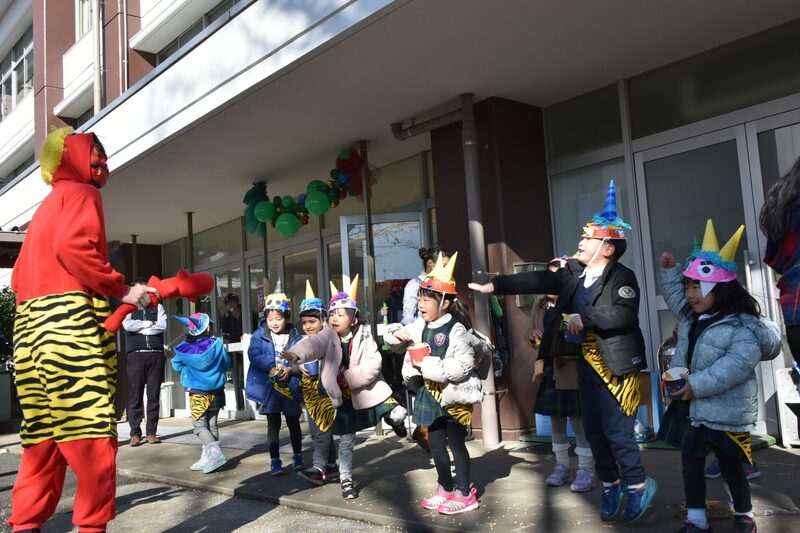 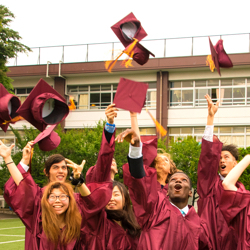 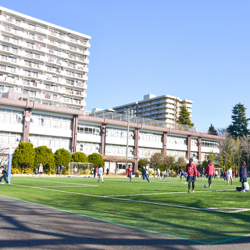 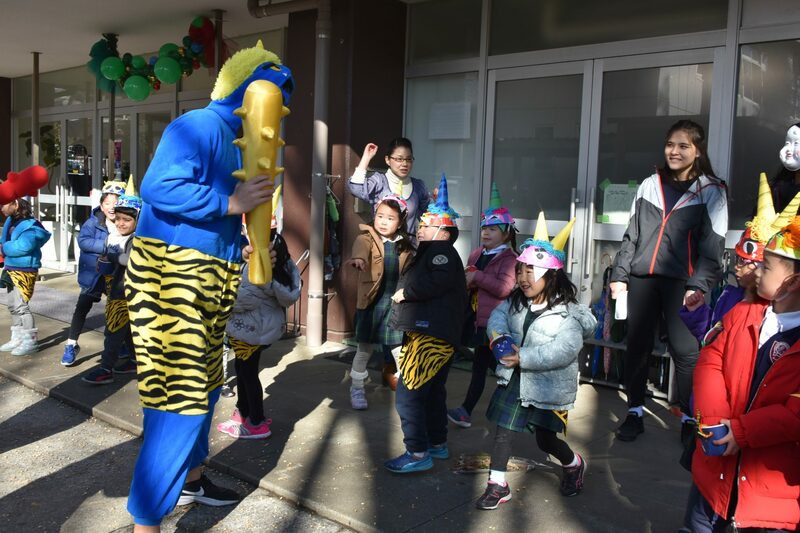 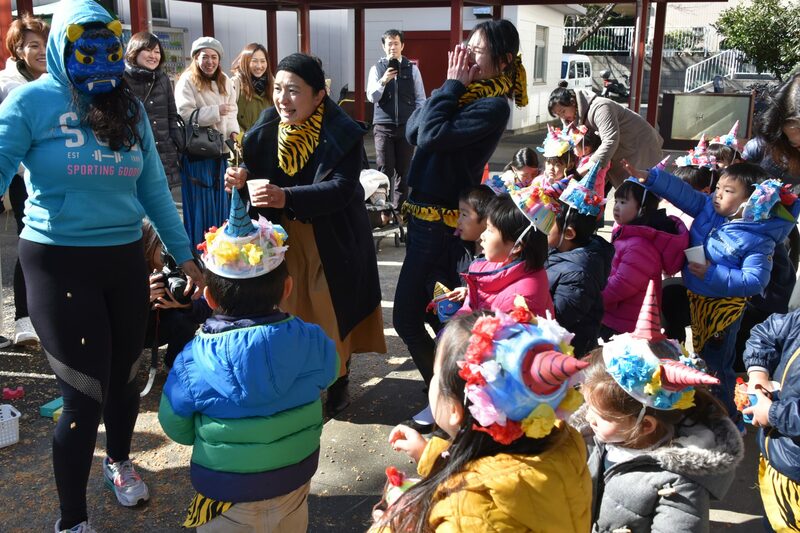 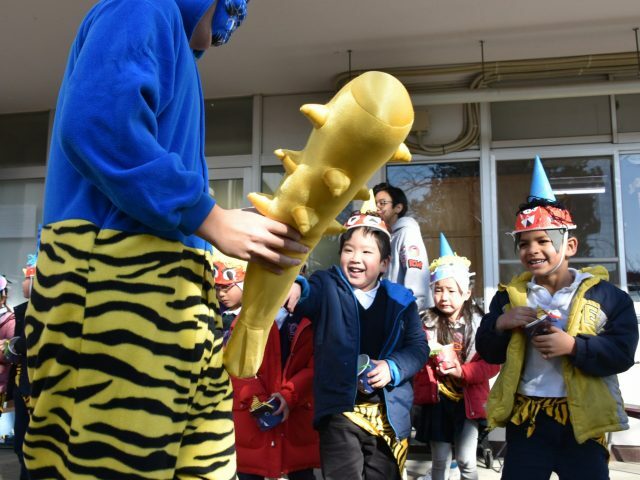 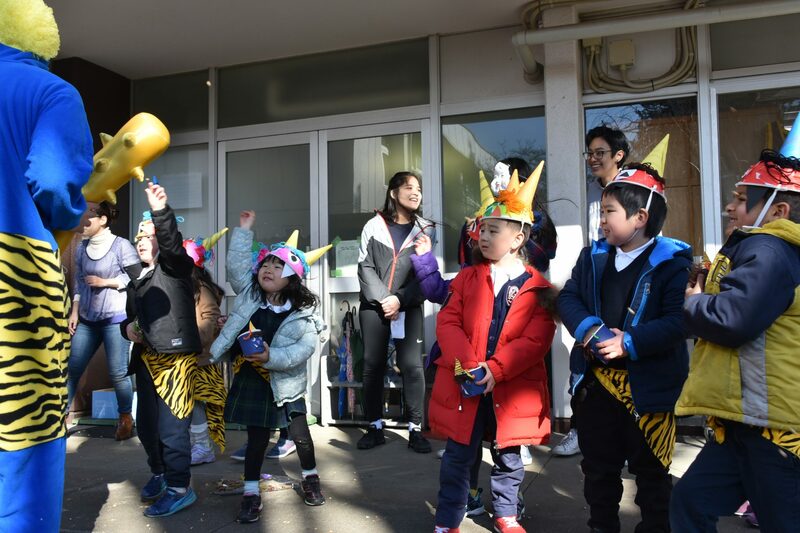 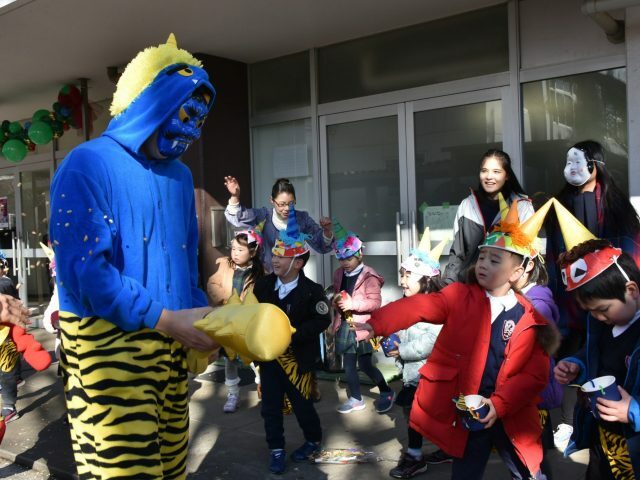 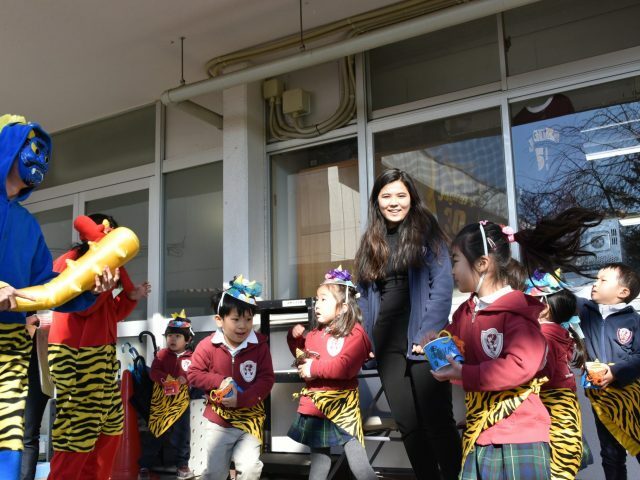 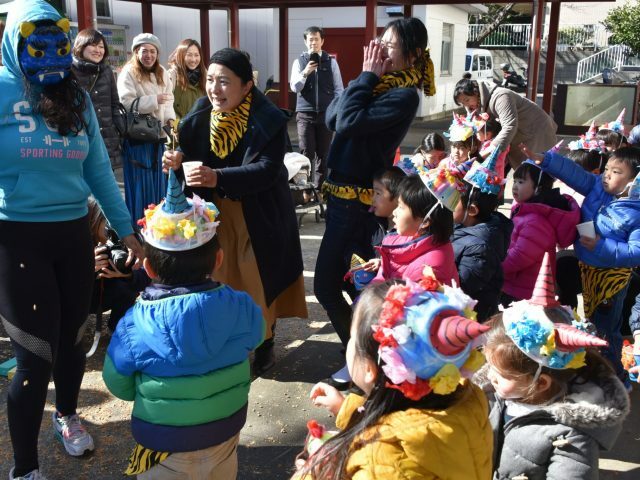 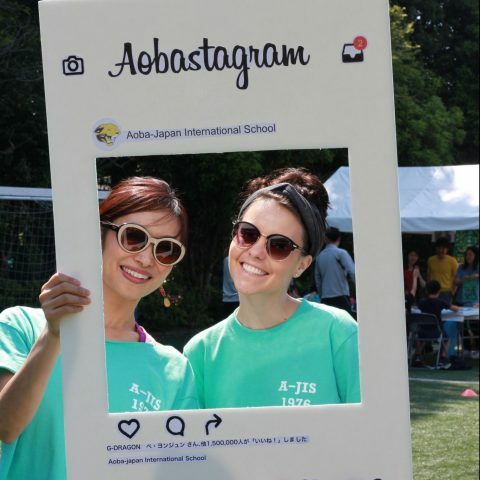 At Hikarigaoka campus, A-JIS middle school students acted as ‘Oni’, while our kindergarten students drove them away by throwing beans at them. 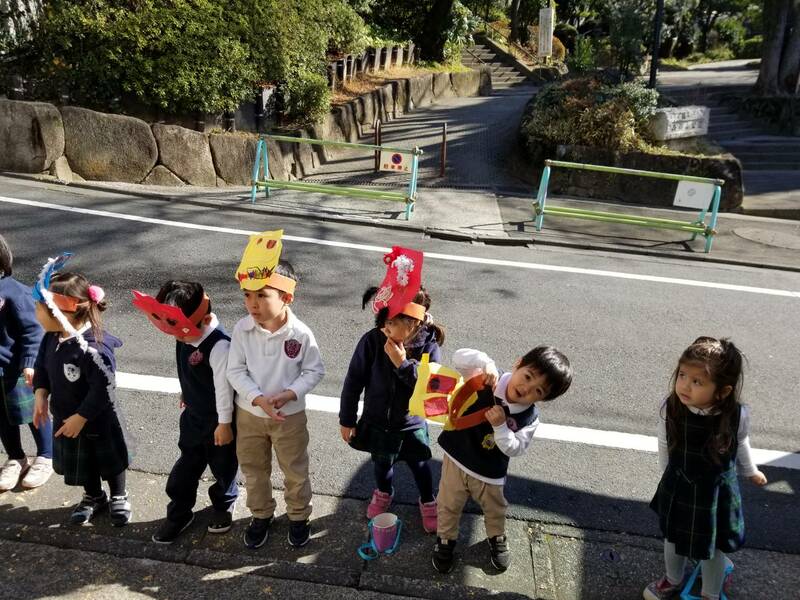 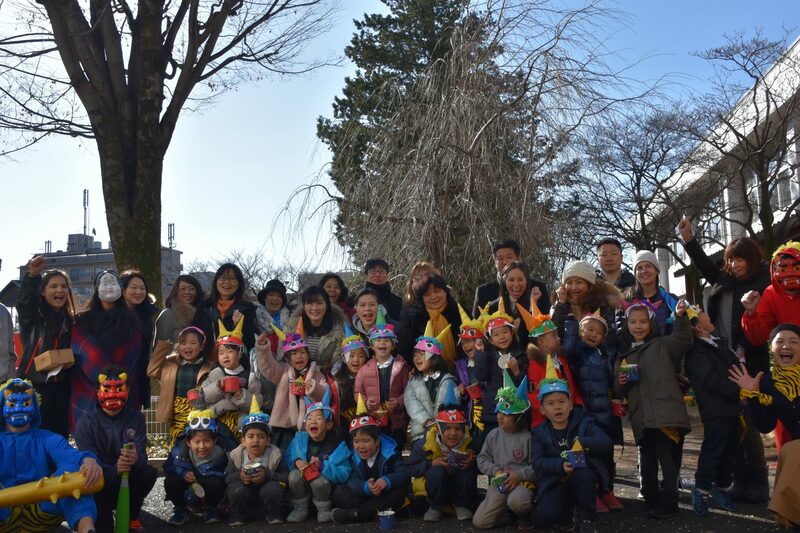 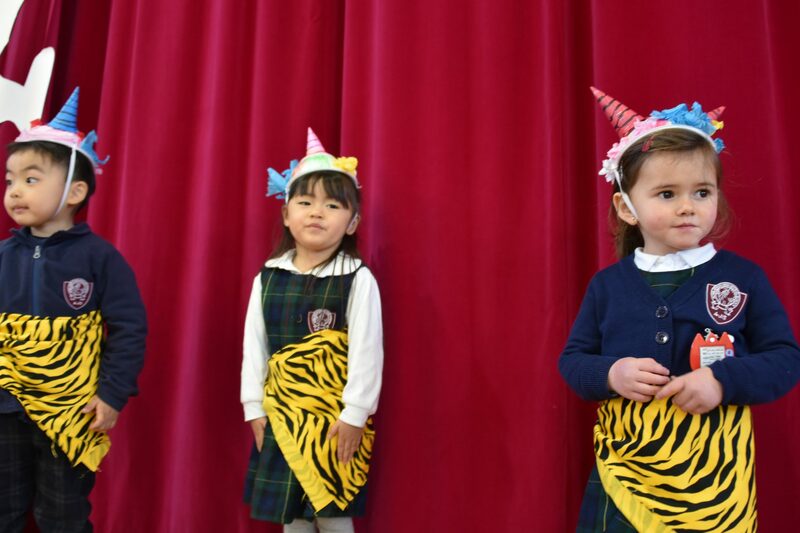 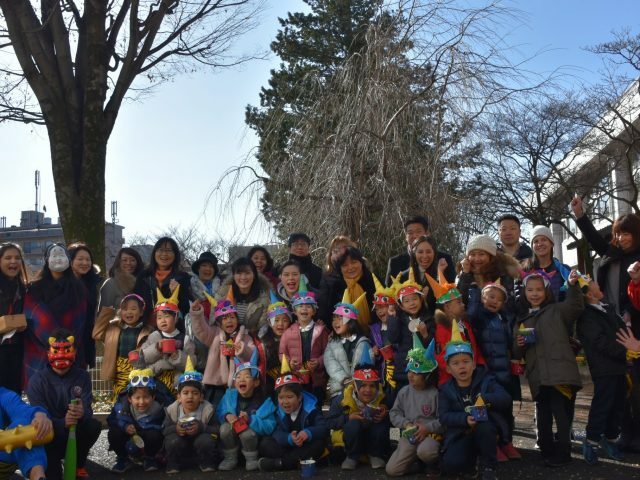 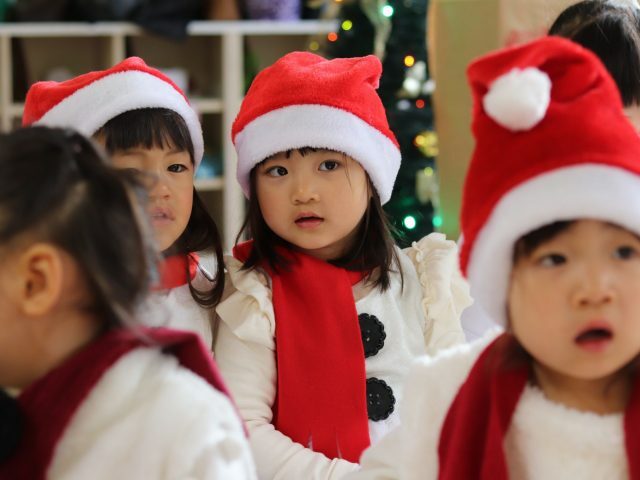 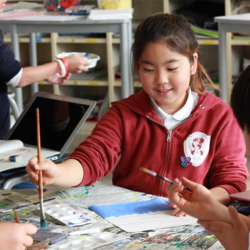 Kindergarten students learned about this Japanese event through reading, discussing, and doing crafts in their class. 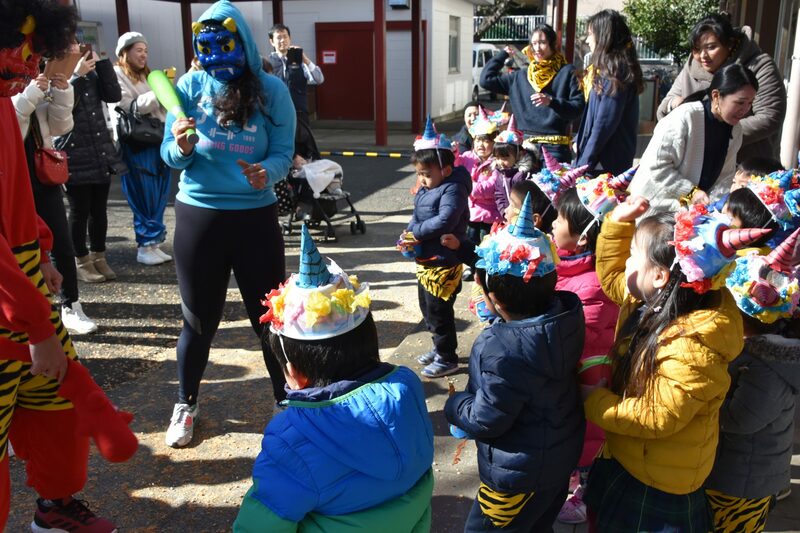 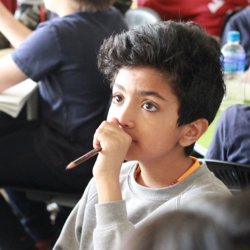 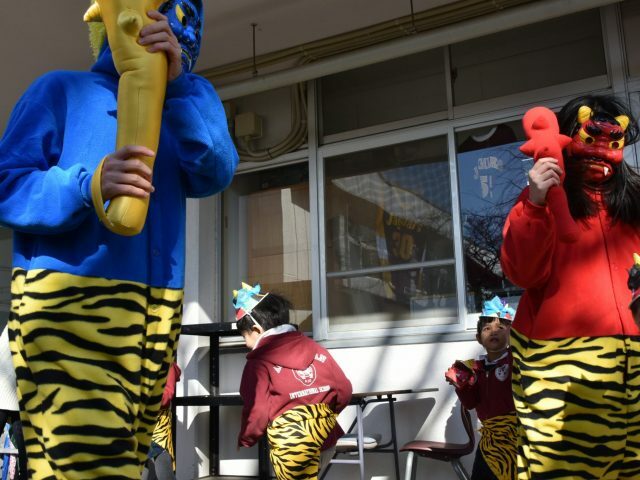 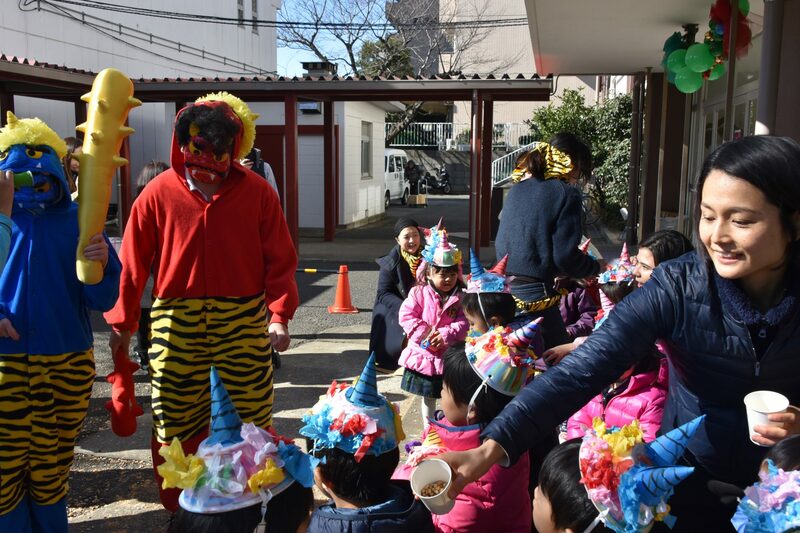 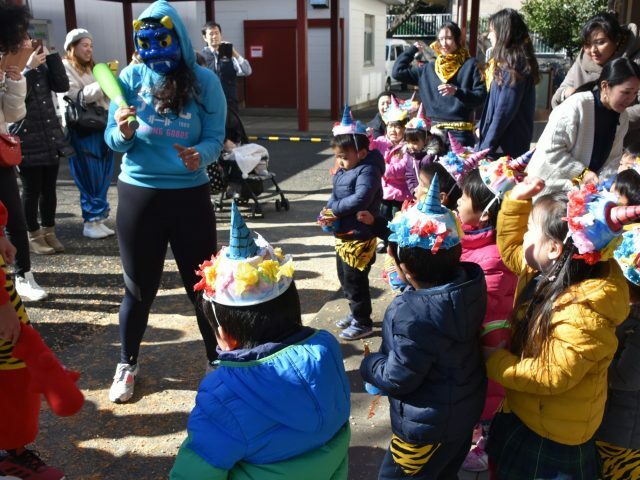 Children created masks and decorative cups in preparation for the traditional ‘bean throwing (Mamemaki)’ activity’. 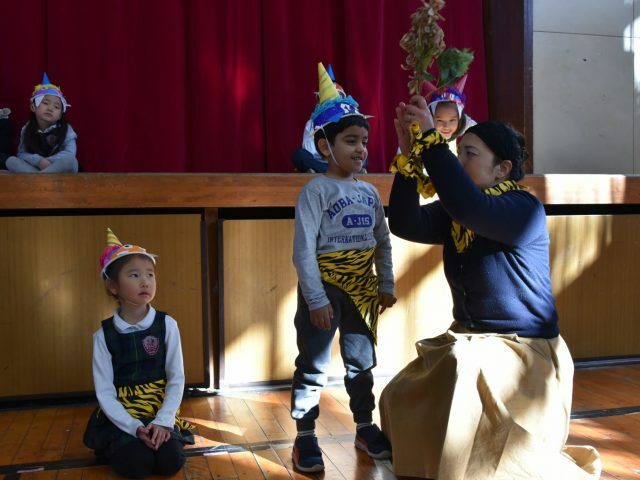 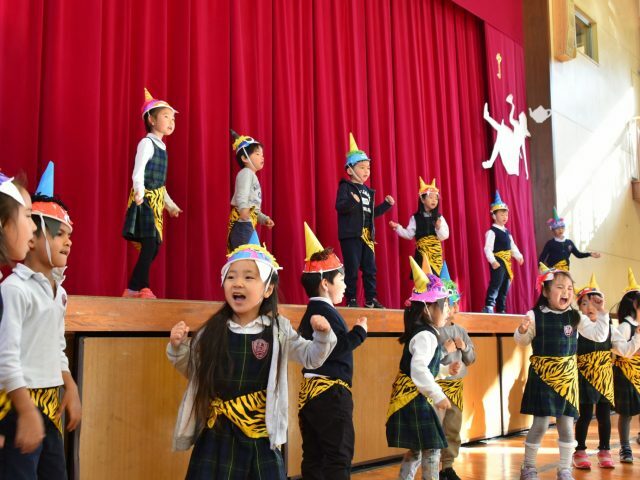 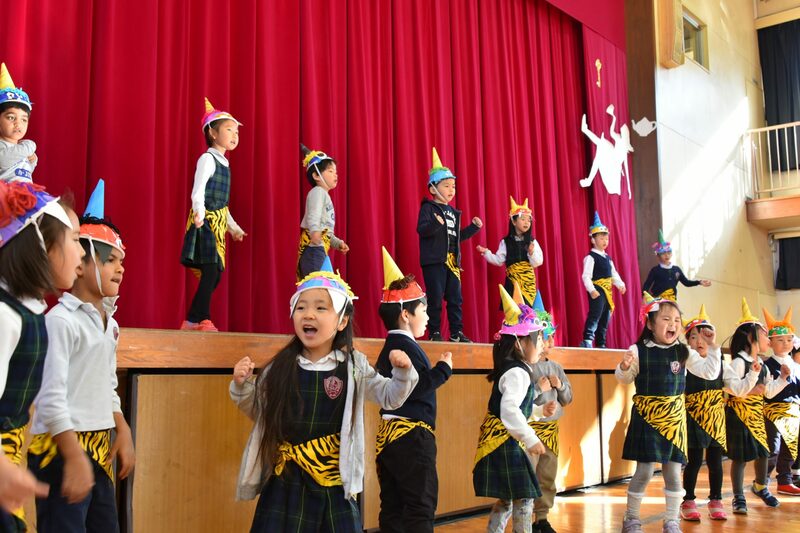 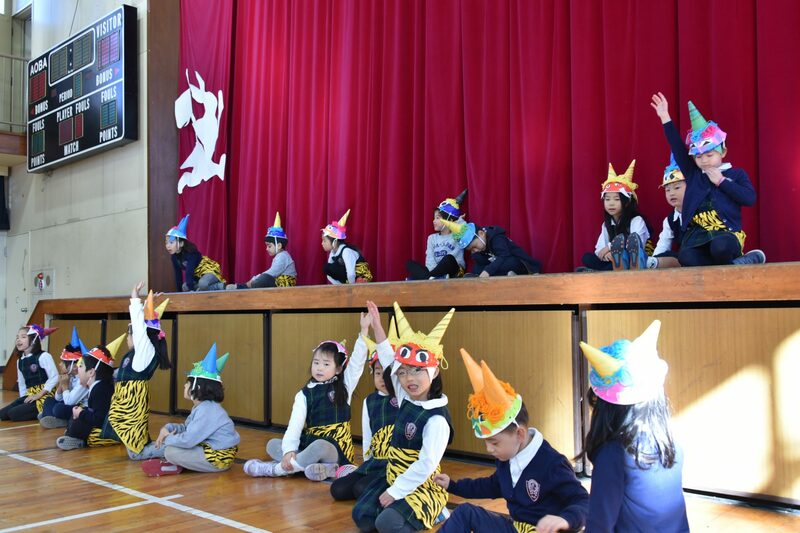 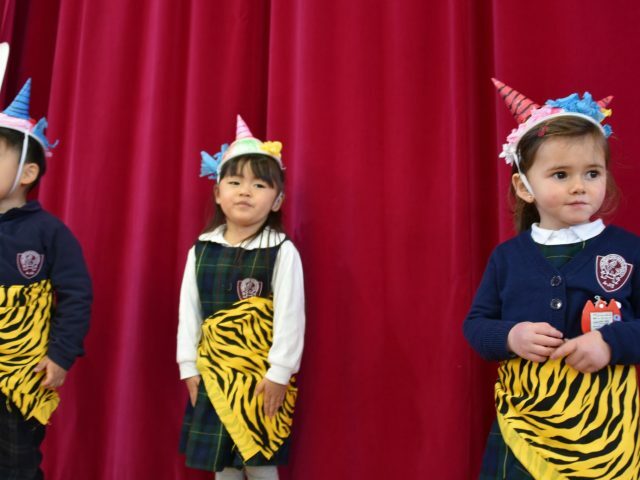 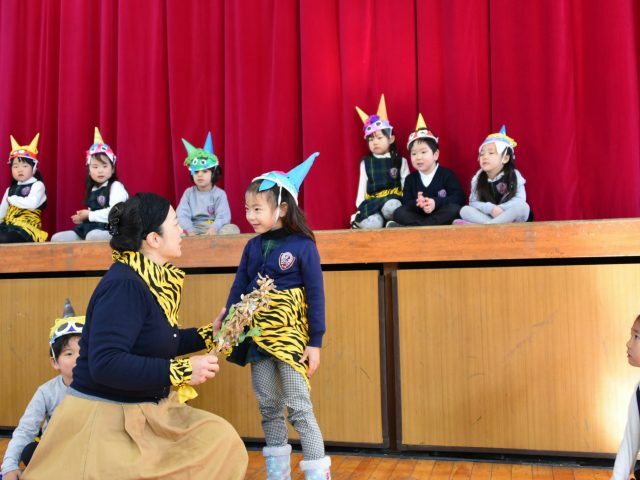 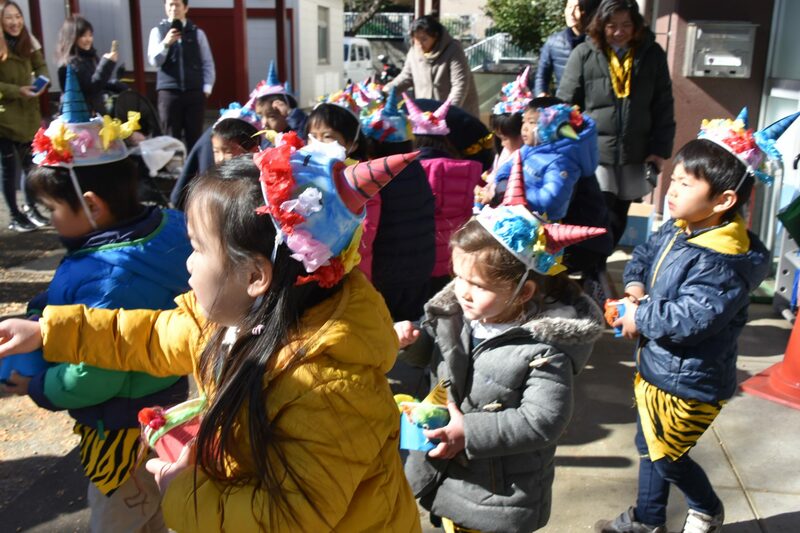 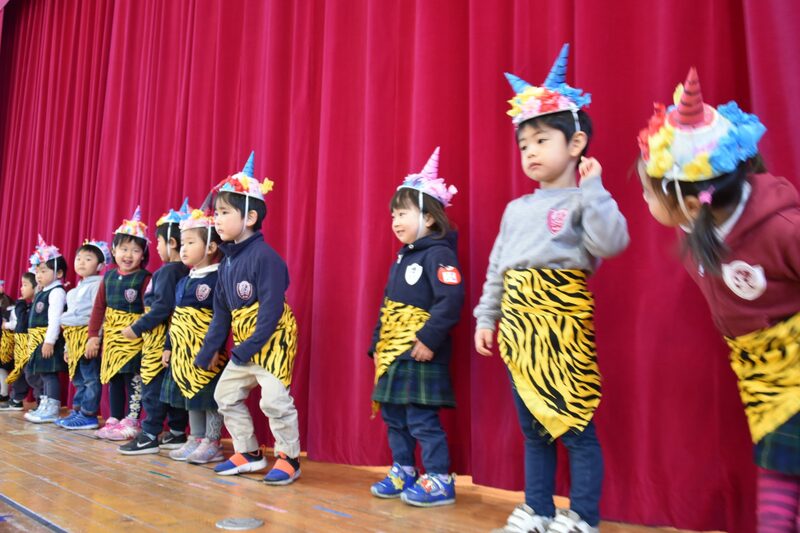 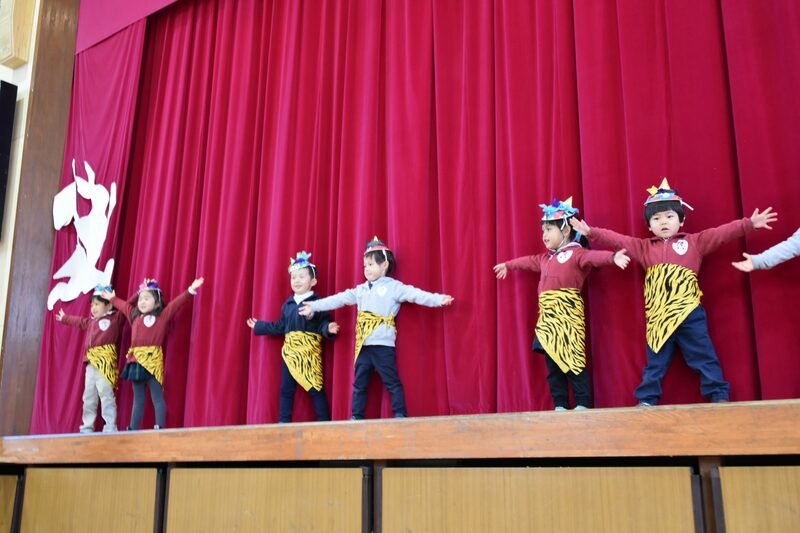 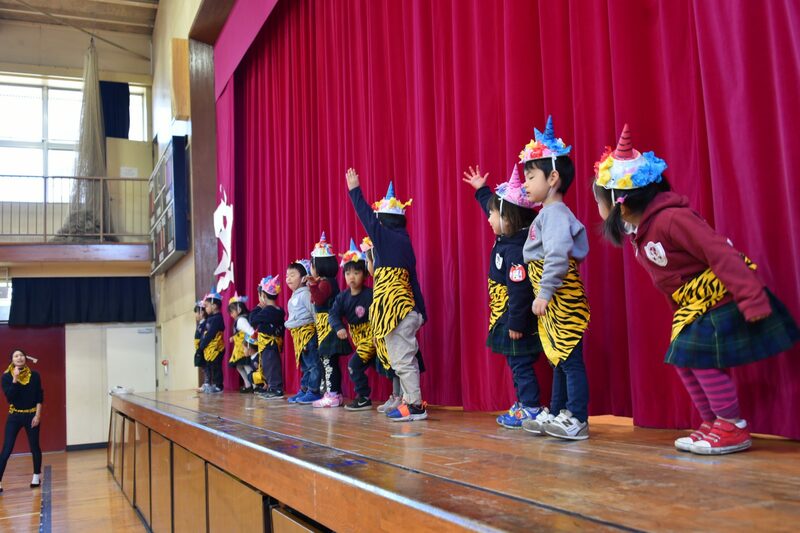 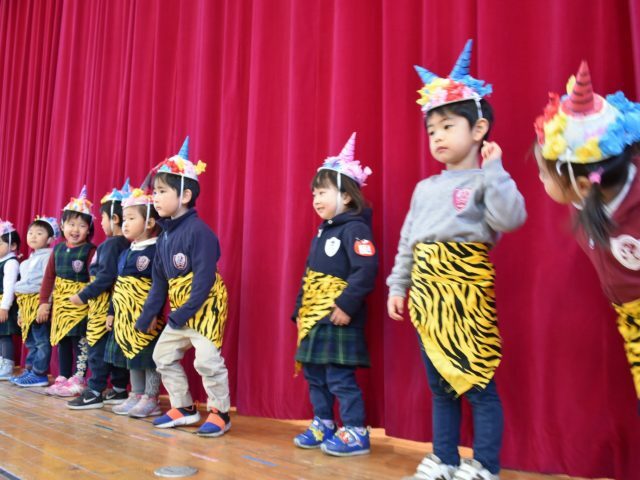 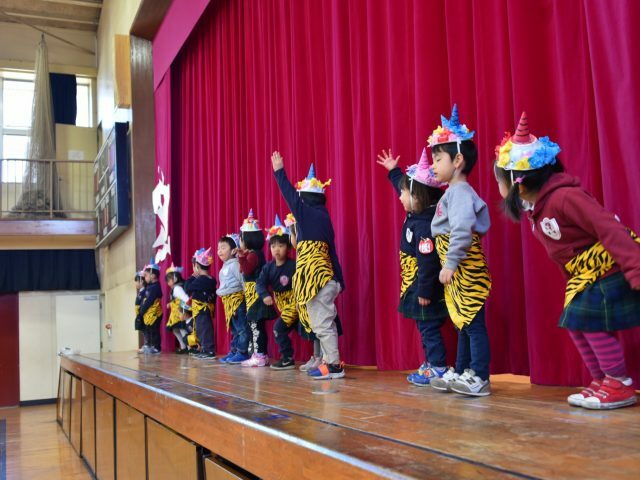 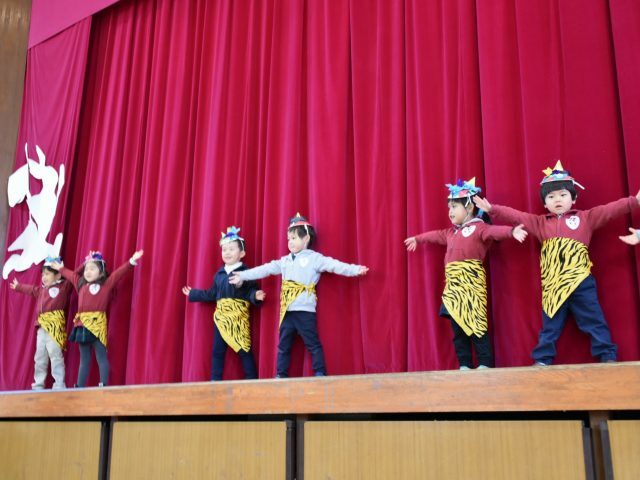 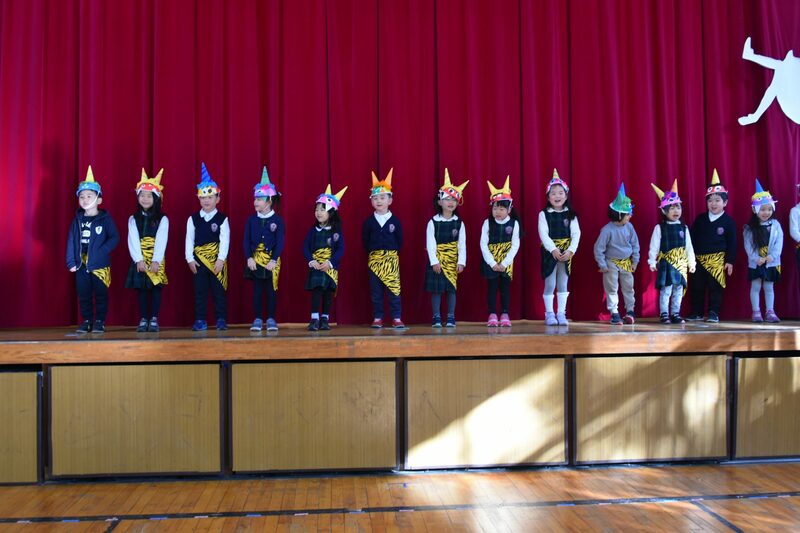 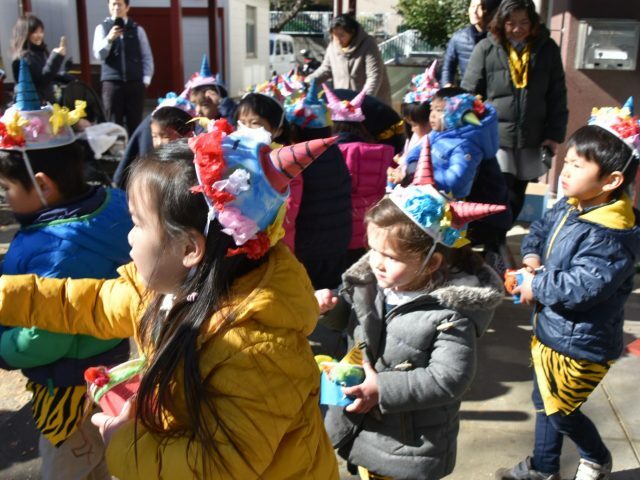 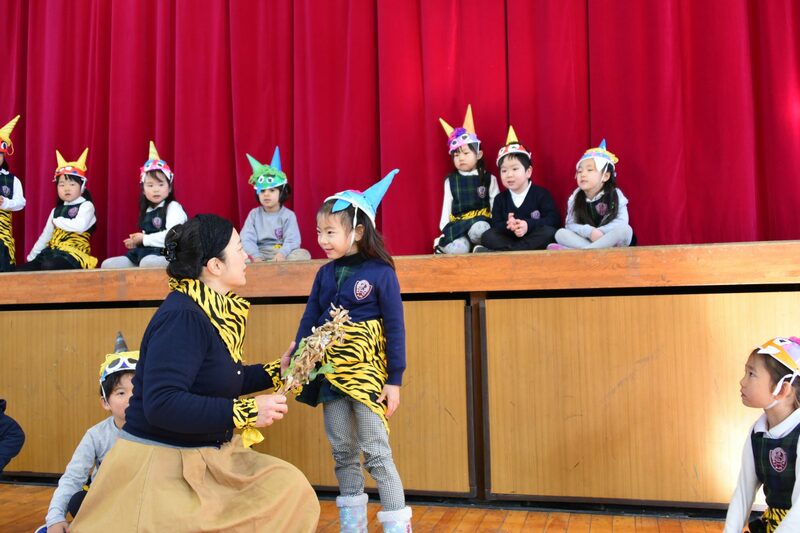 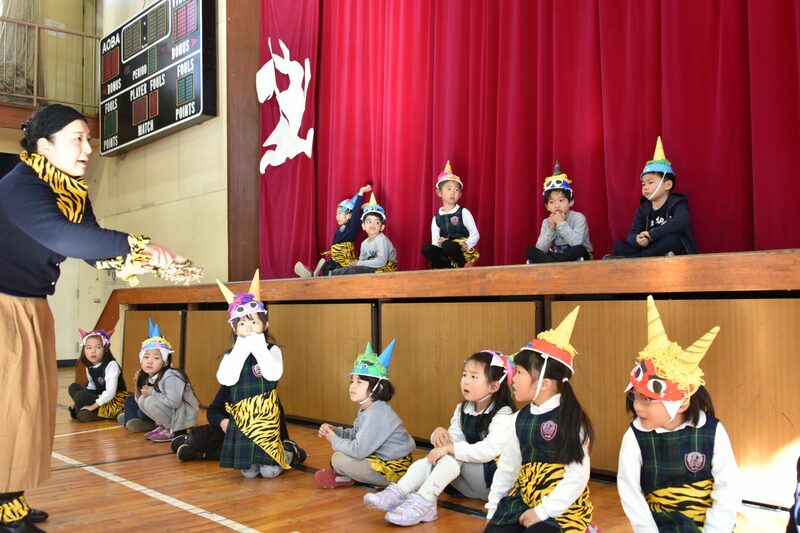 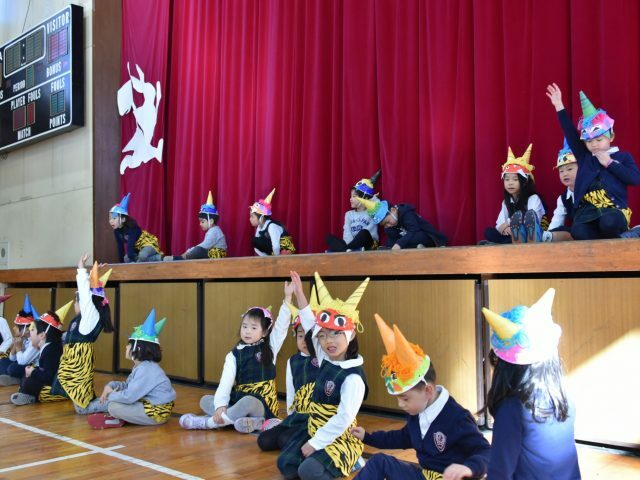 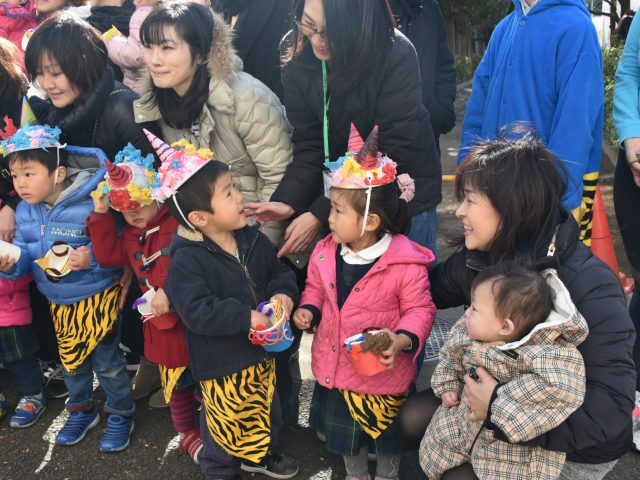 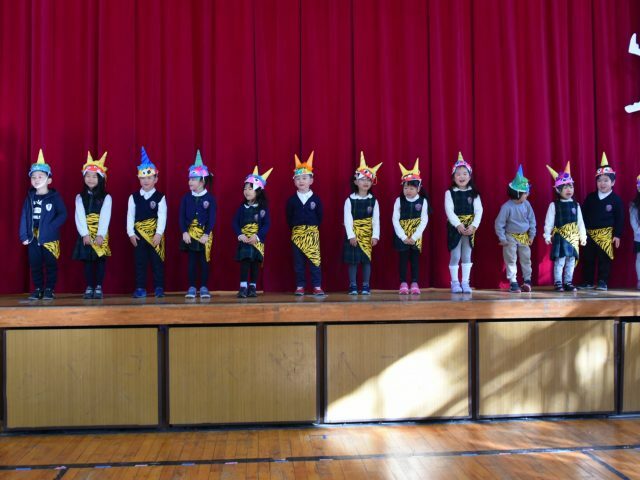 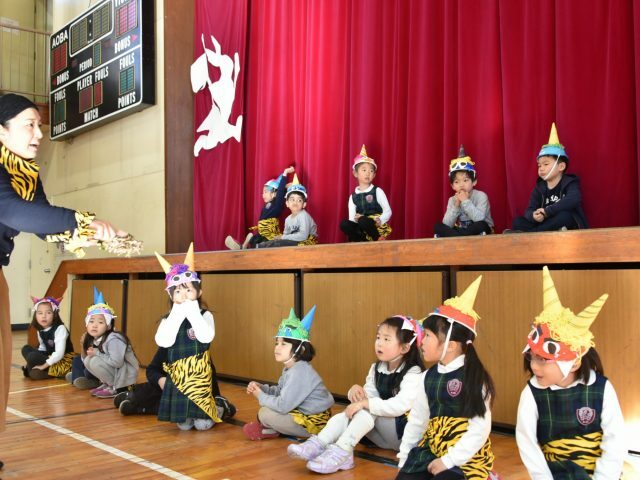 At the event, they used their crafts and enjoyed performing special songs, which are part of the Mamemaki ritual and related to the Oni character. 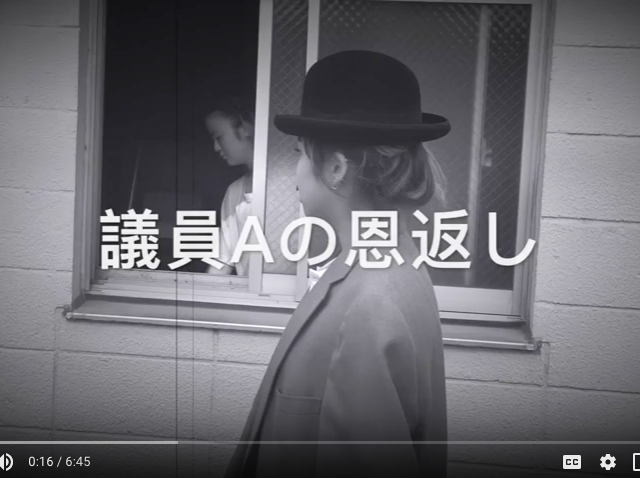 How does "Kozo no Kamisama" end?